Contrary to what our name may suggest, we offer more than just expert AC and heating repair service. We’ve got the perfect collection of air conditioners to take your home’s comfort to levels you never experienced in the past. In fact, we offer expert heating and cooling equipment installation services as well. We know you love your original air conditioner. However, sometimes it’s best for both the home owner and the AC unit to go their separate ways. Not only will your replacement air conditioner run more efficiently, it will regularly save you money because of its higher energy efficiency. If you’re unsure about financing your new air conditioner, we’ve got you covered there too. The pros at Landon's Heating & AC offer a wide variety of financing plans to make sure your home becomes the most comfortable place you know all through the hot summer season. After all, you do spend quite a lot of time there so you might as well be comfortable. Our technicians have the training and experience to allow us to provide expert ac installation services. 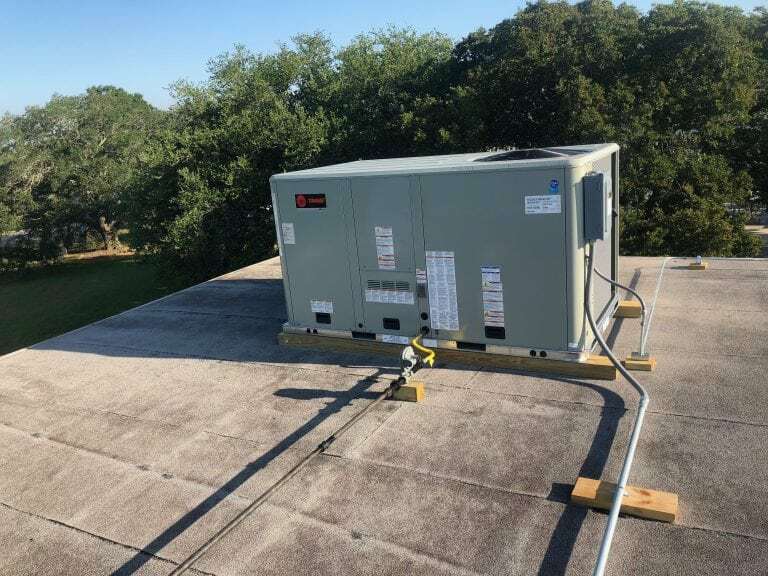 When our highly skilled specialists are at your home, you can be assured they’ll not only install your new air conditioning system set for optimal operation, they will leave your home and yard in the same condition as when they arrived. In addition, you’ll know you are working with a professional, fully licensed, bonded and insured company. We’re so confident that we have the best people on the job that we also include a 100% Satisfaction Guarantee*. Our primary goal is your comfort, which is why we demand so much from our technicians at Landon's Heating & AC. If you’d like more information and a free estimate for your home or office, please give us a call at 337-519-2135. Did you know that up to 33% of your conditioned air might not even make it to the rooms you want to keep cool? It's true! 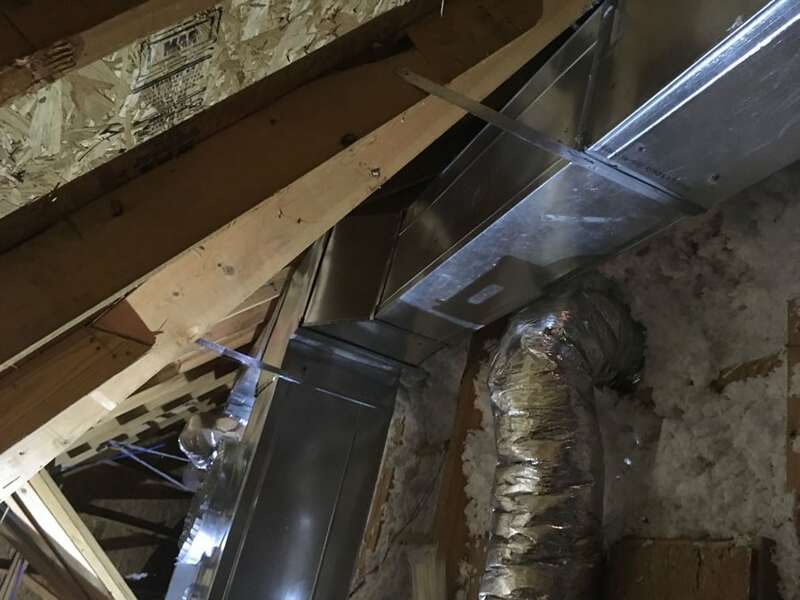 Leaky, torn or poorly connected air ducts can't perform the one task they've been designed to do. All of that cool air your air conditioner produced can escape without being used. Air duct problems can harm your air conditioning equipment, compromise indoor air quality and increase monthly utility bills. Signs of faulty air ducts include hot and cold spots, excessive dust and higher energy bills. Landon's Heating & AC is available to solve all of your air duct problems! Our air duct inspections and air duct repairs are second to none. We will make sure your ac installation is complete for your home or business. Landon's Heating & AC offers detailed air duct evaluations for homeowners. We'll show you how it can be improved before starting any air duct repair work. Repairing existing air duct work is one of the best investments a homeowner can make. Minor adjustments to a home's air duct system will reduce your monthly utility bills. Air duct repair improves your air conditioning system performance. It lowers utility bills and make your home more comfortable. An adequate attic insulation level can help the average home save as much as 40% on heating and cooling. Improve your home's energy efficiency and your air conditioning system's performance. $139.00 summer special includes 1lb of Freon if needed. Our fall special is $129.00 for furnace inspections. We also offer $500.00 rebates for new indoor and outdoor units. We have $1,200 rebates on select complete systems and offer flat rate pricing for customers to control there cost on repairs. Request a custom-quote from the experts at Landon's Heating & AC today!